The Lower Commuter Lot at 57 Powerhouse Lane has a new parking system. All transactions are performed online at www.parkmobile.com or by calling 1-877-727-5730. When paying for a daily parking space you must reference zone 4515, know your license plate number and have a credit card available. 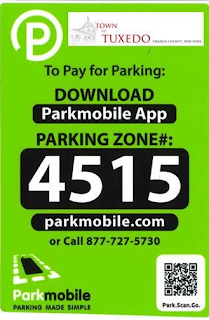 There is a Parkmobile app that can be used by any smartphone - just download at Google Play or the App Store. This new system has been up and running for more than a week now and is working beautifully.